The title pretty much says it all. In my haste to buy equipment to start forming 300 Blackout brass I overlooked the need for an extended shell holder for use with the Redding Trim & Forming die. I tried searching the net to see if anyone else had tried this combination but hit a blank. Since I'm not at home I don't have access to my equipment so have had to rely on Internet images. I'm not going to trim the brass while it is in the die, simply form before cutting to better length before sizing and trim to final length. Has anyone used this setup and if so were you happy with the results? In other words did it work? 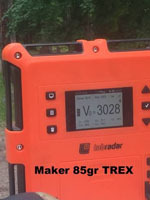 Re: Redding 300 AAC Blackout Trim & Forming Die use in Co-Ax Press? Well, here is my thought on how or why this may work. The trim/form die is short and when threaded into a standard press it is too short for the shell holder to make contact thus the need for an extended shell holder. 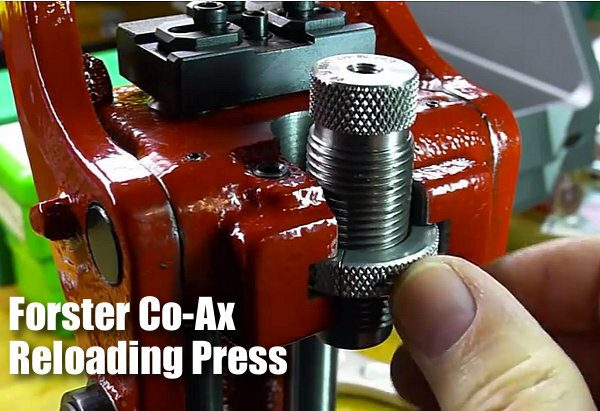 The Co-ax design is different and the shell holder plate comes much closer to the die holder portion of the press. Also, the die lock ring positions differently letting the die sit lower in the press. My hope is that with the ring close to the top there is plenty of die body left to extend down and make contact with the shell holder plate. Won't know till I'm back home though. If you are not going to trim, only form, you may be able to set the die as needed and screw the lock ring on to the bottom. I am not familiar with the Co-ax enough to say for certain. dellet wrote: If you are not going to trim, only form, you may be able to set the die as needed and screw the lock ring on to the bottom. Actually the lock ring isn't tightened to the press but only to the die body. The dies are allowed to free float so to speak in the slot allowing them to align better with the brass when sizing and seating. Best picture I could find. I'm hoping the Redding Trim & Form die is as long as the die in the picture, at least to the top of the lock ring. If it is then it should work. So I finally have my answer, yes it works. The form die body is long enough to contact the shell holder jaws and fully form the case. I've only formed up a little over 20 cases but the die works beautiful. So my Co-Ax press saved me the expense of buying an extended shell holder.